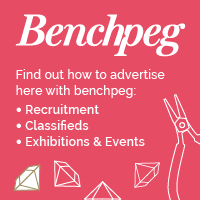 Meet the Co-Founder and Editor of Benchpeg. She makes up part of the team that bring the Benchpeg website, newsletter and social media feeds to our lovely readers, subscribers and followers. 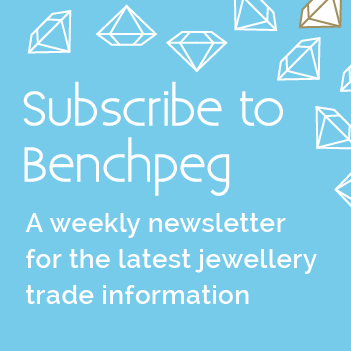 Rebecca is the creator of Benchpeg, she has over 20 years of experience in the jewellery industry (she started young! ), her vision was to create a resource where the jewellery trade could share and access information. Along with being Editor-in-Cheif of Benchpeg, Rebecca is a Trustee of the Bishopsland Educational Trust, a Committee Member for the Communications and Marketing Committee at The Goldsmiths’ Company, she sits on the Selection Committee for the Goldsmiths' Directory, is a business mentor for the Crafts Council, and was elected a Committee Member of the Goldsmiths' Craft and Design Council (retired). She has acted as an industry ambassador for many jewellery industry events. Rebecca's previous appointments have included being a member of the Senior Management Team having designed and delivered the £18M Goldsmiths’ Centre in Central London; part of the Promotions Team at the Goldsmiths' Company having managed the Goldsmiths' Fair event and Company website; and having delivered the £3.5M Jewellery Sector Investment Plan (JSIP) for London Borough of Camden. She holds a first class honours degree in Jewellery from Birmingham’s famous School of Jewellery and has an MA in Arts Management from City University. In 2013 she was awarded the Freedom of the Goldsmiths' Company, is a Freeman of the City of London and was recently made a Liveryman of the Worshipful Company of Goldsmiths..